Subway Seoul Subway Line 2, Line 8 at Jamsil—exits 3, 4 lead to Lotte World directly. Lotte World is a major recreation complex in Seoul, South Korea. 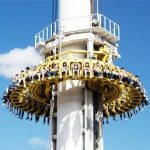 It consists of the world’s largest indoor theme park (a Guinness World Record) which is open all year around, an outdoor amusement park called “Magic Island”, an artificial island inside a lake linked by monorail, shopping malls, a luxury hotel, a Korean folk museum, sports facilities, and movie theaters. 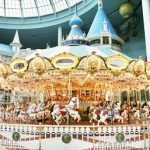 Opened on July 12, 1989, Lotte World receives over 8 million visitors each year. 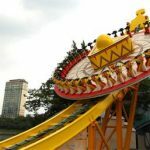 Lotte World can be easily accessed from Jamsil Station, on Line 2 and Line 8 of the Seoul Metropolitan Subway and SMRT, respectively. Located near the park is the Seok-Chon Lake. 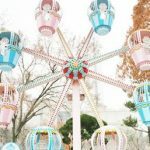 Lotte World opens all year long without holidays. Its hours of operation on weekdays (Monday to Thursday) is 9:30 a.m. to 10p.m., while on weekends (Friday to Sunday)the hours of operation are from 9:30 a.m. to 11:00 p.m. 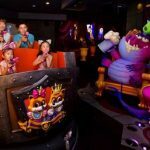 The price of admission tickets for Lotte World varies with different age groups. 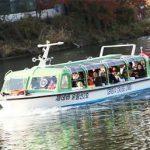 A day pass for adults(18 years and over) costs 44,000Won (41USD, as of November 28, 2013), while a day pass for teenagers (13-17years), children (3-12years), and babies (12months to 2years) costs 38,000Won (36USD), 34,000Won (32USD), and 11,000Won (10USD), respectively. 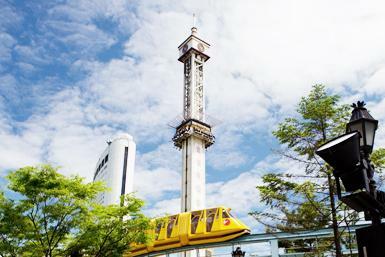 Lotte World also offers what is called, ‘late’ admission tickets, which are admission tickets purchased after 4p.m. They are approximately 75% of the price of the regular admission tickets. There is also a 50% discount for US military personnel. 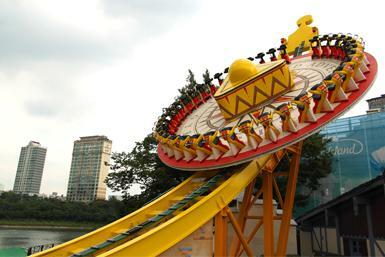 Lotte World offers a variety of small and big performances and festivals in the park. Since they are mostly performed inside the park, visitors can freely and conveniently access them, regardless of weather. Lotte World also has South Korea’s largest ice skating rink. The “Adventure” part of the amusement park is divided into four main floors. 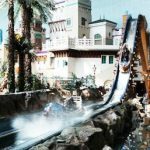 A boat ride that allows passengers to travel along with Sindbad through an underground waterway. A Viking ride. 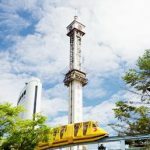 It swings back and forth, almost reaching the ceiling of Lotte World at its maximum height. The seats at the ends of the ship rise 5 more meters and 24 degrees higher than the seats towards the middle. A log ride consisting of a 4-seat long boat that travels through a Jurassic jungle. Former name was “the Marrakesh Express”. 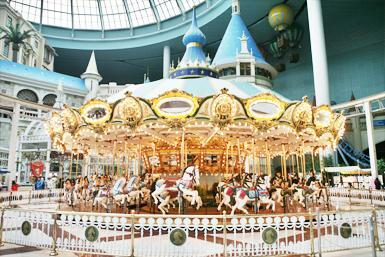 The merry-go-round located near the middle of Lotte World consists of 64 white horses. 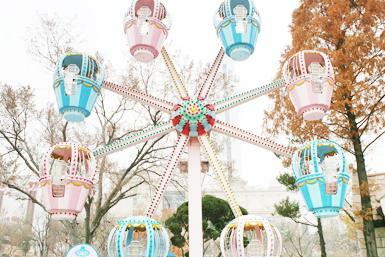 This is also the merry-go-round featured in South Korean drama series, Stairway to Heaven. 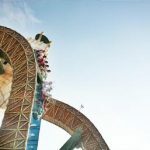 A roller coaster ride made only of one big loop. 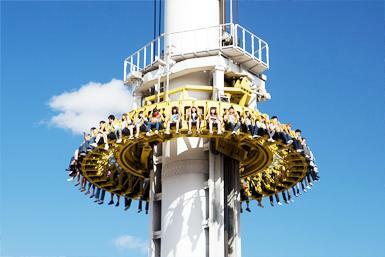 Passengers are constantly taken for 360 degree spins in a 14m-wide circular rail. The vehicle even stops while upside down. 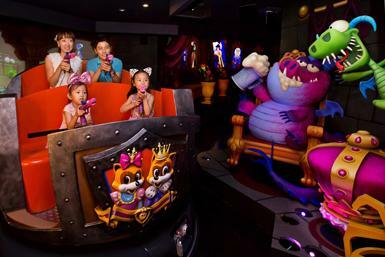 A teacup ride that spins the individual vehicles left and right while the whole ride itself rises up and down. A wide IMAX screen theater, where the seats are in the form of a horse. The seats move in all directions in accordance with the screen image. Passengers over 120 kg or under 120 cm must sit on a coach seat. A playground for kids under the age of 8. This play area’s theme is a fairy-tale world. Children can go barefoot to explore Cinderella’s Castle, Alice in Wonderland, and other fairy-tale stories. 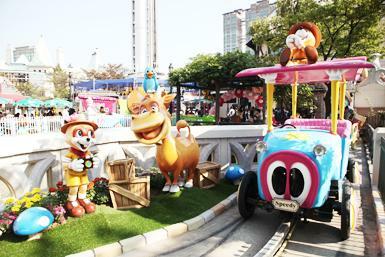 A children’s ride. The children are taken up towards a tree house as they jump up and down over 6 meters. Only children between 90 cm and 120 cm are permitted. Bumper cars for children which not permitted on the Crazy Bumper Cars. Anyone over 140 cm is not permitted, unless they are accompanying a child. Children under 5 years must have an adult with them. A mini version of the Teacup ride; the children get on a twirling basket. Children under 6 years have to be accompanied by an adult. A kid ride where the children aboard a BoongBoong Car (붕붕in Korean is the sound a car makes) and go to save Hansel and Gretel from the witch’s house. Children under 105 cm are required to be accompanied by an adult. Jump into the sky with Brother Moon & Sister Sun to run away from tiger! Magic boats that take kids up and down while spinning around. Explore aquatic adventures. The only way to escape from the evil shark is to jump over it. Interactive live show with Beluga. A high-octane roller coaster. It rotates 360 degrees and even up to 540 degrees in some parts. 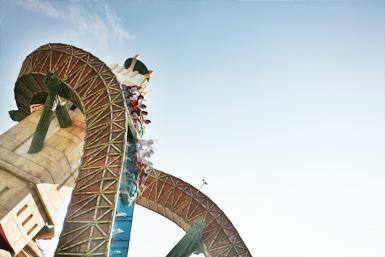 The roller coaster goes through buildings and is indoors, so there is always a near-miss crash feeling. It also takes a picture during the ride that is available for pick up at the exit. For adults, must be at least 140 cm to ride. A water ride that takes passengers through the jungle. They get on a jungle boat and enter a dark cave and are taken through the rapids. 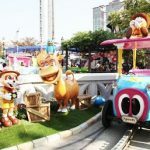 The monorail takes visitors through Lotte World—both inside and outside. 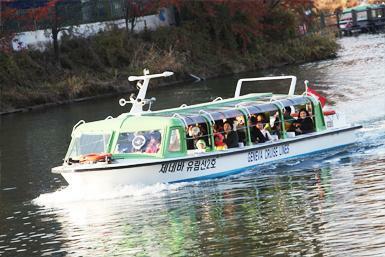 It gives a scenic view as it goes by Adventure, then goes outside to Magic Island that sits over the Seok-Chon Lake. The folk museum allows visitors to learn all about Korea’s people and history. 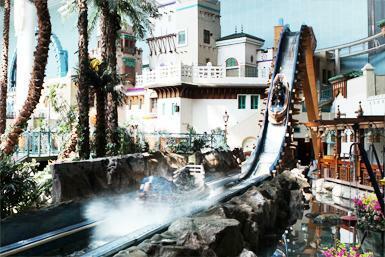 A multi-motion ride where passengers board a Jeep and travel through ancient Egypt. The passengers feel as if they were right at the steering wheel as they go on a 1 km-long ride. This ride in a balloon spans the majority of the indoor park. 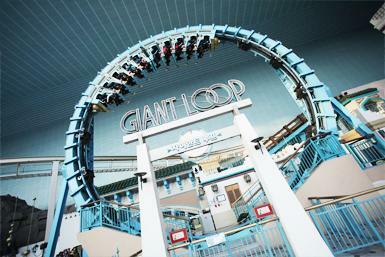 It allows visitors view Lotte World from high above. This theatre shows 15-minute long movies, while the chair vibrates along with the movie. This production, targeted towards children, tells the story of Piggy who is in love with a Princess. The King has already chosen a fiance for the Princess, Knight Rolo. However, Piggy eventually wins the love of the princess through the help of his animal friends.